The Cotehele Unit offers inpatient care for people, mainly over the age of 65, who have functional mental health issues and are experiencing the worst phase of their illness. Examples of functional mental health issues could include depression, schizophrenia, mood disorders or anxiety. We provide a comfortable, clean and, above all, safe environment where people are respected and included in decisions about their mental health care. Our multi-disciplinary team offer daily support and therapeutic activities aimed at boosting people’s independence and self-esteem ahead of their return to the community. 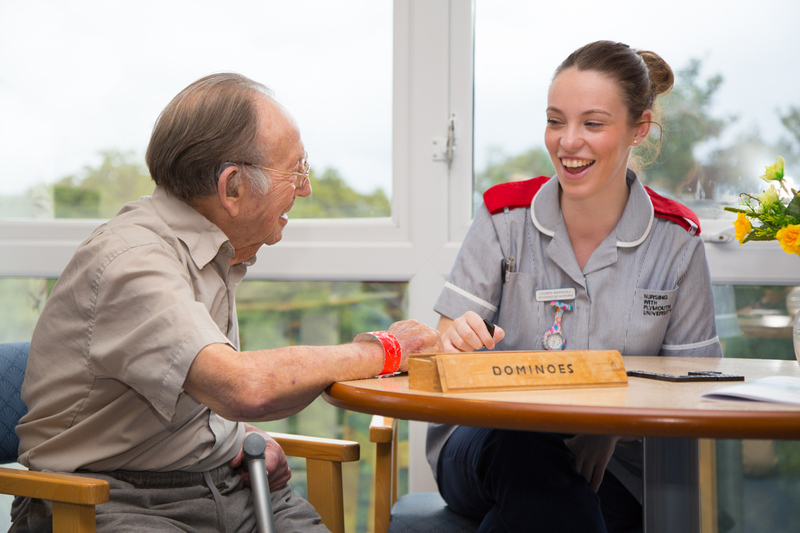 We want people to leave the Cotehele Unit feeling positive and supported, which is why we work with a range of agencies in the wider community who can continue their care. Occupational Therapy supports people to achieve or maintain as much independence in doing things they want or need to be able to do in their lives. This includes all areas of everyday life including things like getting washed and dressed, cooking and shopping. Art Therapy, Music Therapy, Psychology, Chaplaincy and a Pets as Therapy Dog are just a few examples of other services that are provided on the ward or via referral.